In Paladins, one thing players should know how to do is disable the Auto Purchase Items feature. After installing the game, or loading in after an update, the Auto Purchase Items feature will be enabled by default and will remain on until you manually disable it. 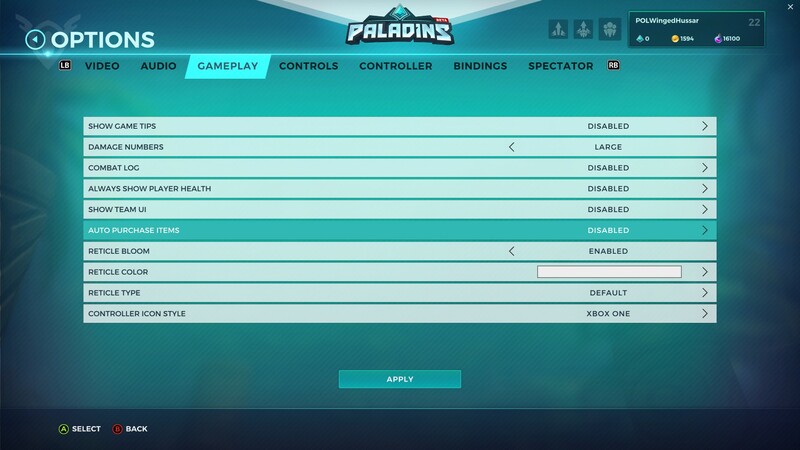 This can be a pain, as locating and disabling the Auto Purchase Items feature in the Paladins Options menu can be hard for new Paladins players. Why disable Auto Purchase Items? Well, the items that are auto-purchased for you by default are typically not the ones you need for the match. This is because the items you need changes dramatically depending on the match, team composition of your enemies, etc. To help, we’ve put together a handy guide on how you can go about disabling the Auto Purchase Items feature in Paladins. It's relatively easy to disable the Auto Purchase Items feature in Paladins. 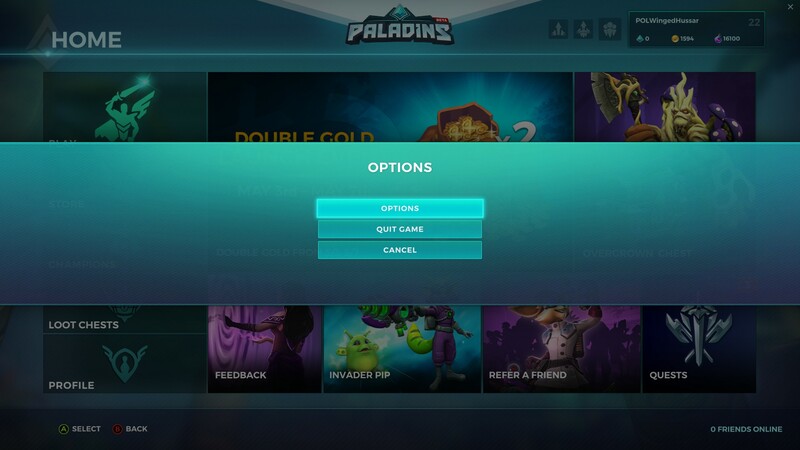 To disable the Auto Purchase Items feature in Paladins, you'll need to head to the Options menu. Here, you’re able to adjust things like audio, video, controls, and gameplay settings. To disable Auto Purchase Items, head to the Options menu in Paladins. Make sure you hit Apply after you disable Auto Purchase Items in Paladins. Now that you’re here in the Gameplay tab, scroll to turn Auto Purchase Items to the “Disabled” setting. Before you exit, make sure you hit “Apply” down at the bottom to save your new change. 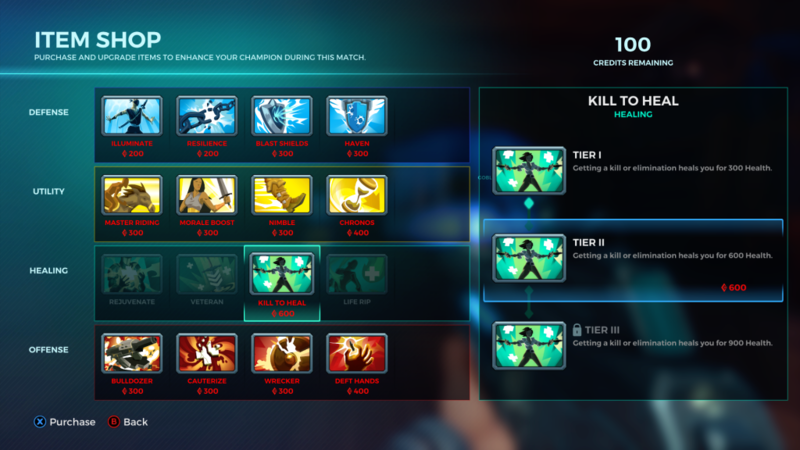 This will ensure that while you’re playing a match and earning Credits, you can physically assign which items you purchase with said Credits rather than letting Paladins choose for you (often poorly). For more on Paladins, be sure to check out some of our previous guides including the best Paladins Champions to play in each class, how to link your Paladins account on Nintendo Switch, and the best deck build for Koga in Paladins! By reading this guide, you should now know how to turn off the Auto Purchase Items feature in Paladins.